Promethean Light Rifle - The Z-250 is comparable to both the human DMR and Battle Rifle, allowing for burst fire when shot from the hip and precision targeting when scoped. 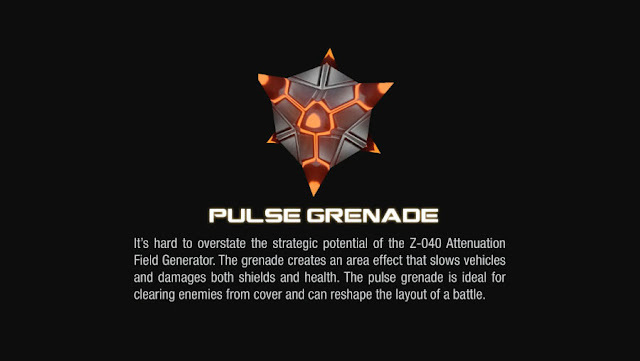 Promethean Pulse Grenade - It's hard to overstate the strategic potential of the Z-040 Attenuation Field Generator. The grenade creates an area effect that slows vehicles and damages both shields and health. The pulse grenade is ideal for clearing enemies from cover and can reshape the layout of a battle. Promethean Scattershot - A shotgun with ricocheting shot has terrifying killing potential, and that's why the Z-180 Close Combat Rifle gained popularity in the latter part of the Forerunner war against the Flood. 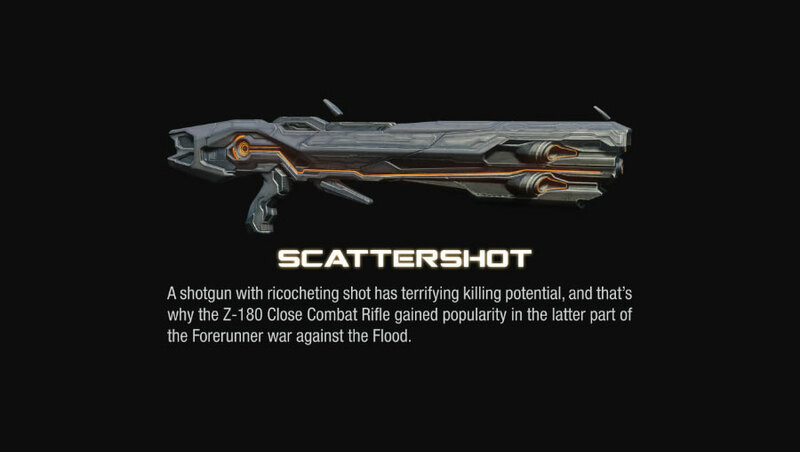 Promethean Supressor - The automatic fire of the Z-130 Suppressor made the weapon a favorite for Forerunner troops fighting against the Flood. The weapon fires bolts of charged Hardlight that pierce and destroy organic material of any type.